Using rack mounts in kitchen designs can make a huge difference to the space you have in your kitchen. If you are longing for counter space because you counters are covered with all the things you use, then a rack mount is just what you need. You will be able to lift everything off your counter and use the space again. 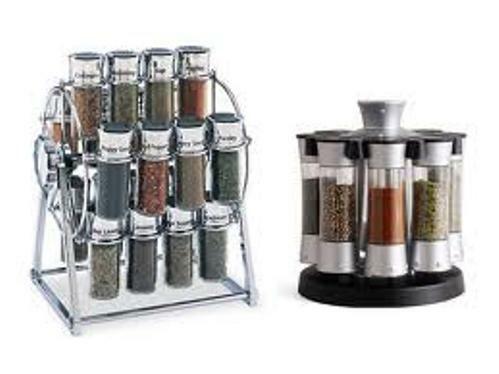 A spice rack is a must for every cook. Keeping all your spices in one place and easily accessible is essential. It could be placed above your counter where you usually do your mixing, or right above your stove area, so it is easy to get as you stand over your boiling pot. There are so many styles to choose form. You can have a lot of fun selecting the style you like. This is one area where you tend to keep adding to, so it is good to keep that in mind and choose one with lots of space, even if you can’t fill it up at the moment. A pot rack is a great way to keep all your pots easily accessible. This usually is mounted on the ceiling but can also be mounted against the wall. 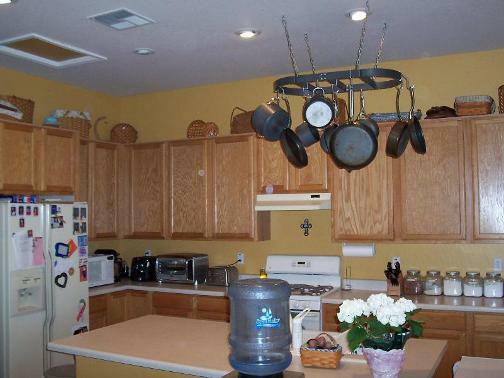 A pot rack is available in all shapes, sizes and designs. They can be made out of a variety of materials such as copper, wrought iron, wood, brass and chrome. This makes it easy to choose one that will harmonize with your kitchen. Not only does it make your pots and pans more accessible, but a pot rack also keeps your pots and pans from being scratched or warped and looking good for years to come. This is because, each one can hang from its own handle and have its own place. One thing that often gets misplaced in a kitchen is the roll of paper towels. This does not need to happen anymore, as there are several different styles of stands that can graciously hold the paper towel roll. 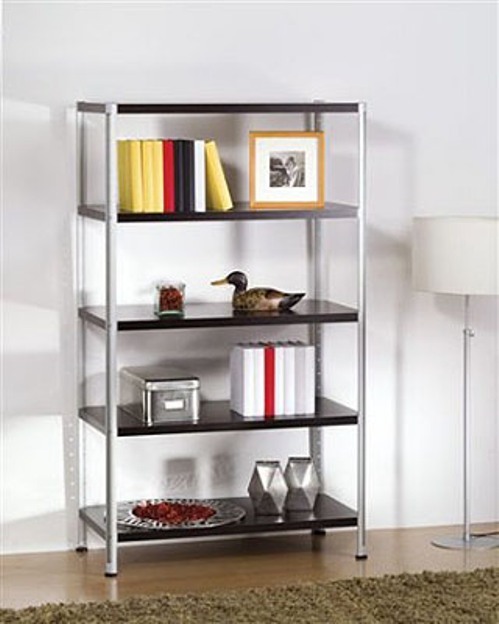 It can be put up on the wall or hidden in a cabinet, and it won’t be able to walk away. The kitchen tends to be a place where everyone gets together. Whether you have family visiting or some friends over for a party, this is place where a small mounted wine rack would be ideal. You could either have a cool and sleek one or a cozy country one depending on the look you wanted to create. If you have a collection of pretty plates that you picked up from your travels, there is no better way to display them, than by putting them up on a dish rack. This makes them easy to use and helps you remember all your adventures. 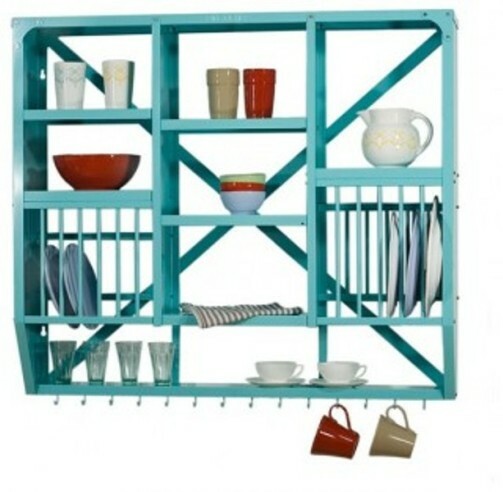 Besides saving you large amounts of space, rack mounts can give your kitchen lots of style and character. 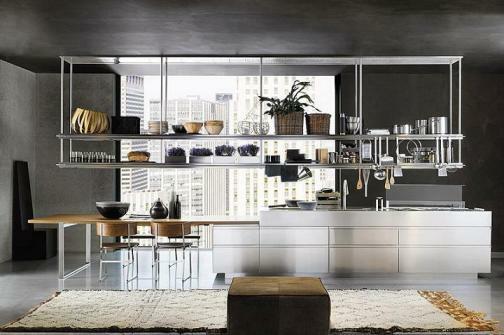 There is a wide variety available, and they can help make your kitchen look smooth and sleek, simple and clean, or decorative and artsy. You can significantly improve the space you have in your kitchen, and at the same time make your kitchen look neat and stylish with the variety of rack mounts available. Nice collection. Specially # 4 is awesome.